As a Vice Chair on Dundee Youth Council, I've seen the influence young people can have when it comes to local decision-making. I don’t think enough young people understand just how powerful their voice to make change can be. With the help of Fixers, we want to create a project that reaches out to young people in the Dundee area - and across Scotland - to help encourage them to step forward and get involved in their local community. We’re young people who volunteer our time, and we can see the impact it has and what we get from it. Hopefully other young people will feel as passionate as us and are willing to stand up for what they believe in. Myself and some of the Fixers involved in this Fix are Members of the Dundee Youth Council, who support our project. 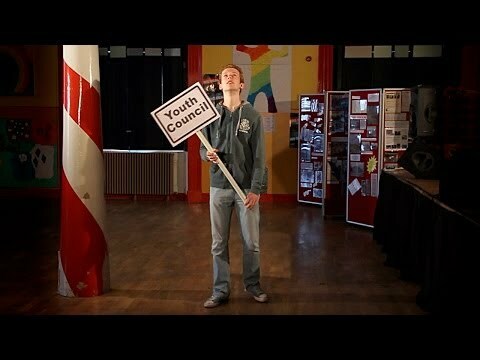 The film is being launched at a Scottish Youth Parliament Meeting taking place in Dundee on 27th October 2013. Members of the Youth Parliament will be able to hear about our campaign, watch our film and hopefully will share it with other young people in their communities. Our Fixers film received a ministerial letter of recognition from the Scottish Government’s Rights Participation Team.